This month is the sixth anniversary of the "Arab Spring," when Tarek el-Tayeb Mohamed Bouazizi, a Tunisian street vendor, set himself on fire to protest police harassment. But, like many good things, the Arab Spring came to an end too soon. 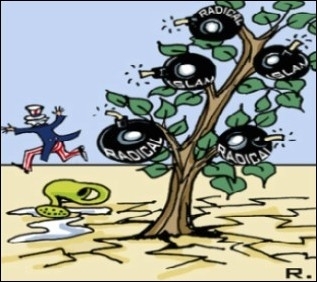 Islamists took over in Tunisia and Egypt, with civil war in Syria and chaos across the Mideast. The long, dark Arab Winter that had enveloped the Arab world like an ice age since the 13th century returned. However, all is not lost. A new Arab Spring is emerging, not one organized by NGOs funded by Europe and America, but by Arab intellectuals and dissidents in the Arabian Peninsula. A new Arab Spring is emerging, led by intellectuals and dissidents in the Arabian Peninsula. It's a movement embedded in Arab culture and style, not the street demos that work so well in the West and in emerging countries like India and South Africa that have a tradition of electoral politics and extra-parliamentary opposition. Two Arab intellectuals in particular, among many more men and women from the region, give me hope. 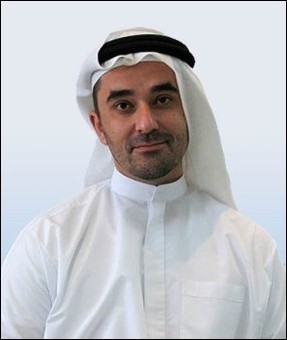 One is Omar Saif Ghobash, the United Arab Emirates' ambassador to Russia, whose 2014 speech at the Wharton School of Business caught my eye this week. What the UAE ambassador, who describes himself as a liberal and a conscientious thinker, said could get any Muslim in deep trouble. Not just in Islamic countries, but in Canada and the U.S., where criticism of Islamism or Islamist clergy is met by howls of contrived outrage by groups affiliated with the Muslim Brotherhood. Slamming the Islamic State (ISIS) and the Muslim Brotherhood, Ghobash said while Islamists claim that implementing Islamic rule will solve the problems faced by Muslims, "this still does not answer, how a simple technical, biological, societal or administrative problem can be solved by piety. "What is also disturbing is the use of religion to justify evil and cowardly means," he continued. "We should tackle the role of the Muslim clergy who either back the extremists and license their violence, or do not interest themselves in their pastoral duties to the Muslims of the 21st century." Distinguishing between Muslims and Islamists, the UAE ambassador said the focus of Islam should be ethical, moral and spiritual in its essence. "Deciding pension fund politics is not within the realm of religion," he added. 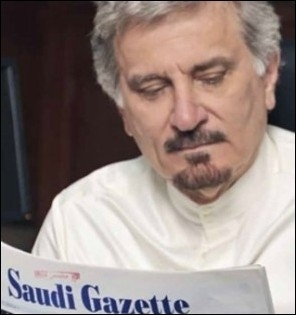 The other gentleman is Khaled Almaeena, editor-at-large of the Saudi Gazette. He recently wrote a provocative article in the wake of stories about wealthy Gulf Arabs being robbed in the West, including an incident in Miami where a Gulf businessman had his briefcase containing $800,000 lifted from his hotel room. He told police he brought the money to spend on a family vacation. Impress people with your mind, not your wealth. ... Rich people in the West or Asia who have worked hard for their fortunes do not do this. And besides, there is a time and a place for exclusive haute couture dresses and priceless diamonds. Walking in the streets is not one of them. The 2010 Arab Spring was born in the Maghreb, the west of the Arab world. This time it may arise in the Arab east. The optimist in me feels something is afoot in the Arab heartland that has not yet appeared on our radars in the West. Will the views of Almaeena and Ghobash multiply? Are their many more Arabs like them? Yes, there are, and I have met many of them.